Included in the ATLAN catalogue raisonné as no. 1425, and accompanied by Certificate of Authenticity by Camille Atlan. Jean-Michel Atlan was born on January 23, 1913 in Constantine, Algeria. In 1930 he moved to Paris to study philosophy at the Sorbonne. However, in 1941 he launched himself as an essentially self-taught artist. The publishing of his poetry and its rhythmic elements had led him next to experiment with painting. Unfortunately he was arrested in 1942 for his Jewish heritage and for his political activism as part of the French Resistance or Underground. After the war and the occupation of Paris ended, Atlan had his first exhibition at the Gallerie Arc en Ciel. In 1946 he became a part of the CoBrA art group when his own studio on Rue de la Grand-Chaumière became a gathering place for the group. 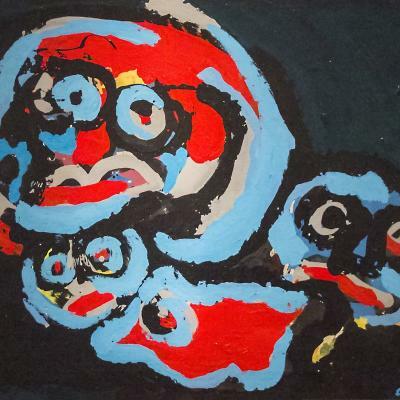 The Cobra Group was formed by Karel Appel, Constant, Corneille, Christian Dotremont, Asper Jorn, and Joseph Noiret, who all espoused a complete freedom of form and color in art and who opposed the Surrealism movement. 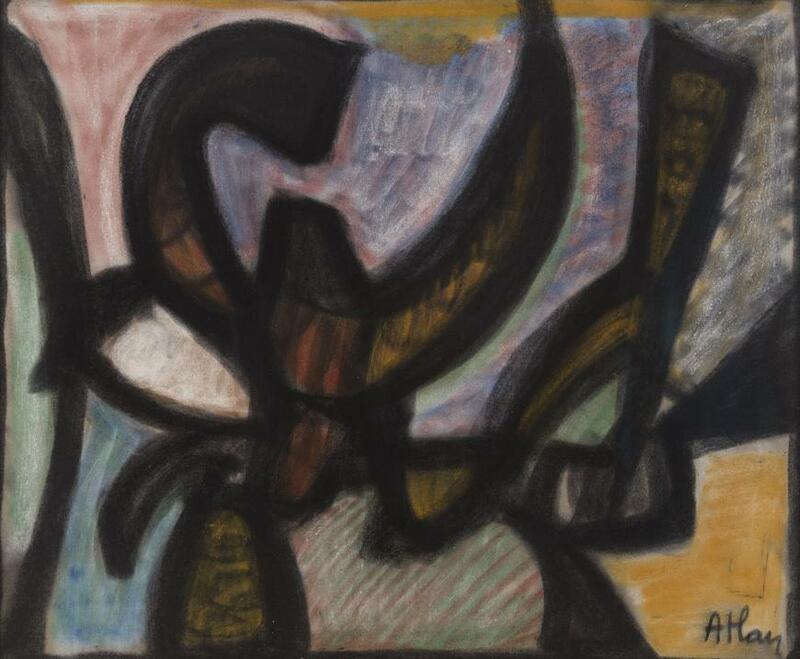 As a result of the influence of the Cobra group Atlan's paintings at this point in his career consisted of works that displayed abstract and fanciful shapes that resembled animals. 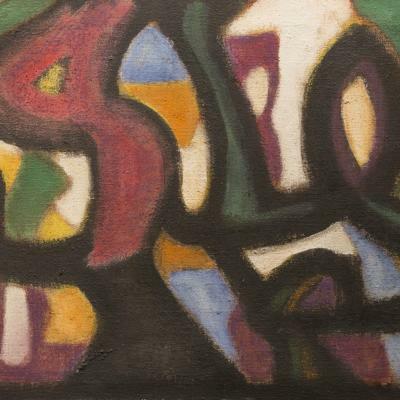 In 1955 his works which included Le Kahena, and Composition were exhibited at the Gallerie Carpenter. However, by 1956 Atlan had found his own particular style which consisted of strong, black consolidated lines that enclosed pastel colored areas of color. 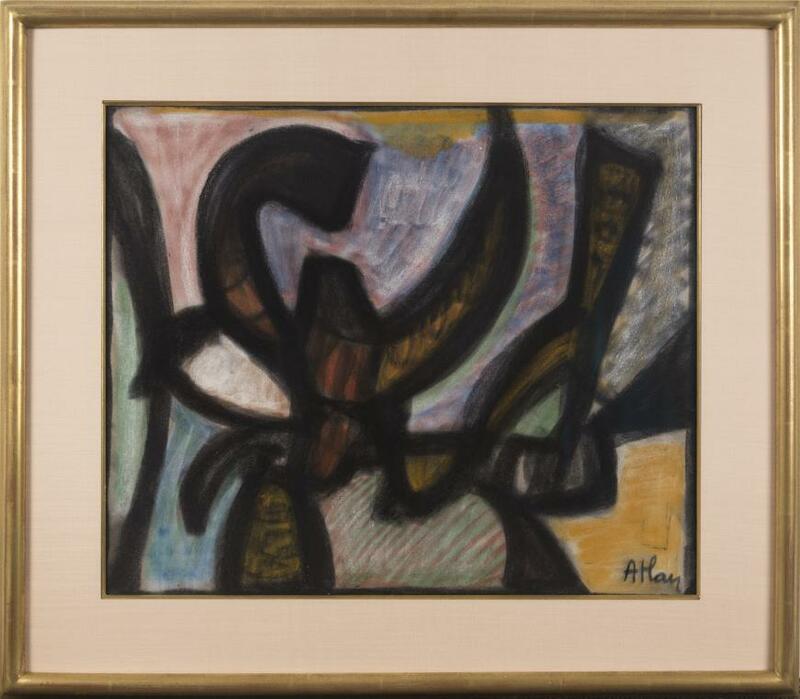 During the 1950's Atlan's works were well received in France, England, Japan and the United States. Atlan died of cancer in Paris on February 12, 1960 and was buried in the Montparnasse Cemetery. At the time of his death Atlan was considered an important member of the "Nouvelle École de Paris." "A strange chalky chiaroscuro, the early signs of which were already discernible the previous year, accentuates the hollows and filled-in spaces. A dual approach, therefore, which combines the sign alphabet and pictorial classicism, definitive figures, undecipherable sphinxes. This dichotomy acknowledges a divorce never previously attained between paintings in oil and pastels, between canvas and paper, before culminating in a synthesis where forms and colours, the prelude to the apotheosis, play an equal part." A prolific year in which he produced a number of rich and poetic works on paper, 1956 marked a time of abundance for the artist. In June, the Parisian magazine Elle published for the first time an abstract painting on its cover; the artist was none other than Atlan. 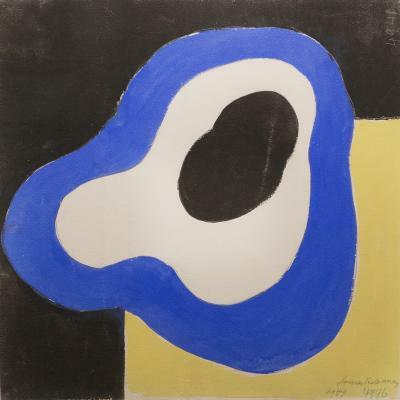 That same year, the artist participated in the first "Festival de l'art d'avant-garde," created by Le Corbusier and Jacques Polieri at the Cité Radieuse in Marseilles, and held a widely successful personal exhibition at Galerie Bing, which marked his first show in Paris since 1947. "He subjects each picture to a powerful rhythm: an organic beat, a sacred dance, which brings it to life by raising each of these forms, as defined as those of the 'tachistes' were amorphous, as indisputable as the others are uncertain and, in view of this, as fertile in poetic emanations as in sturdy plasticity."